Only Jesus accepted the worship of others (Matthew 8:2), because Jesus is worthy of man's WORSHIP! Jesus is worthy of every creatures worship! Only God Almighty is entitled to receive worship. The Bible teaches that God will NOT share His glory with another (Isaiah 42:8). If Jesus weren't Almighty God, then He couldn't have received the worship of so many people (Matthew 9:18;14:33;15:25;18:26;20:20;28:9). Jesus gladly received worship from people, as God Almighty is entitled to. Only Jesus accepted the worship of others (Matthew 8:2). Only God Almighty is entitled to receive worship. The Bible teaches that God will NOT share His glory with another (Isaiah 42:8). If Jesus weren't Almighty God, then He couldn't have received the worship of so many people (Matthew 9:18;14:33;15:25;18:26;20:20;28:9). Jesus gladly received worship from people, as God Almighty is entitled to. Notice once again that all modern corrupt Bible versions remove every mention of the word “worship” concerning the Lord Jesus Christ, changing the word “worship” to a mere “knelt.” It is deception of the worst kind. Satan tried to take away our Bibles, but failed. Then Satan tried to cause us to doubt the Bible, as he did Eve; but failed again. Now Satan is changing our Bibles, trying to deceive us again. Sadly, most people have been woefully deceived. The New International Version is dangerous, as are all the other modern perversions of the Scriptures. Only the King James Bible is trustworthy. Jesus is the Word incarnate. 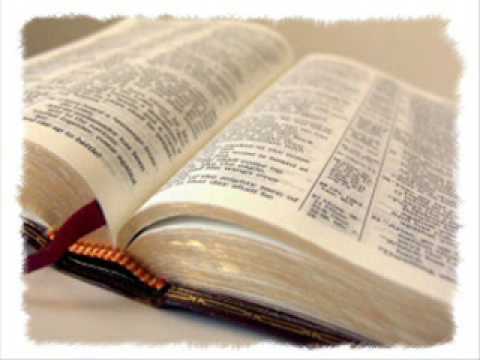 God's Word is not merely a book with white pages and black ink; but rather, God's Words are living, as we read in Hebrews 4:12, “For the word of God is quick, and powerful, and sharper than any twoedged sword, piercing even to the dividing asunder of soul and spirit, and of the joints and marrow, and is a discerner of the thoughts and intents of the heart.” God Words are alive (quickened) because God is alive. The Bible contains over 7,000 promises (many repeated for emphasis) from God, some unconditional and many conditional. If a man authors a book and then dies, future readers may feel like they've personally known the author after reading his book. However, the author (Holy Spirit) of the Bible is alive forevermore!!! This is why Jesus said in John 6:63, “It is the spirit that quickeneth; the flesh profiteth nothing: the words that I speak unto you, they are spirit, and they are life.” There you have it... the Words of the Bible are spirit, that is, given by the inspiration of the Holy Spirit (2nd Timothy 3:16), and they are life!!! Psalms 33:11, “The counsel of the LORD standeth for ever, the thoughts of his heart to all generations.” That is precious to me, that is, the Bible is “THE THOUGHTS OF HIS HEART” to all generations. When we read, search, memorize and study the Bible, we are learning the thoughts of God our Creator. The next time you get discouraged, open your King James Bible and look for God's THOUGHTS on the matter, whatever your needs or problems may be. This is why we are commanded wonderfully in Philippians 4:5, “Look not every man on his own things, but every man also on the things of others. Let this mind be in you, which was also in Christ Jesus.” Jesus' mindset was that of continually thinking about others. JESUS IS GOD... ALMIGHTY GOD!!! The deity of Jesus Christ is the most denied doctrine in this world by unbelievers. They vehemently hate the very idea that Jesus was born upon the earth as God incarnate (in the flesh). A “doctrine” is simply a teaching. Doctrines are composed of words. Thus words are critically important. The great theological battles and debates of our generation are being fought over the meaning of words, whether it be the word “repentance” or the word “inspired,” the spiritual battle is raging. The word “Godhead” is found in Acts 17:29, Romans 1:20 and Colossians 2:9 in the King James Bible. All modern corrupt Bible versions completely remove this critical word, “Godhead.” Satan wants to deceive you concerning the Godhead. The word “Trinity” may not be in the Bible, but the word “Godhead” most certainly is. Why would anyone remove this word from the Bible? It's because the Devil wants to deceive you. Notice that the unbelieving Scribes accused the Lord of blasphemy for claiming the power to forgive men's sins. Ah, but Jesus was God in the flesh and did indeed have all the power of Heaven to forgive sin as only God can. 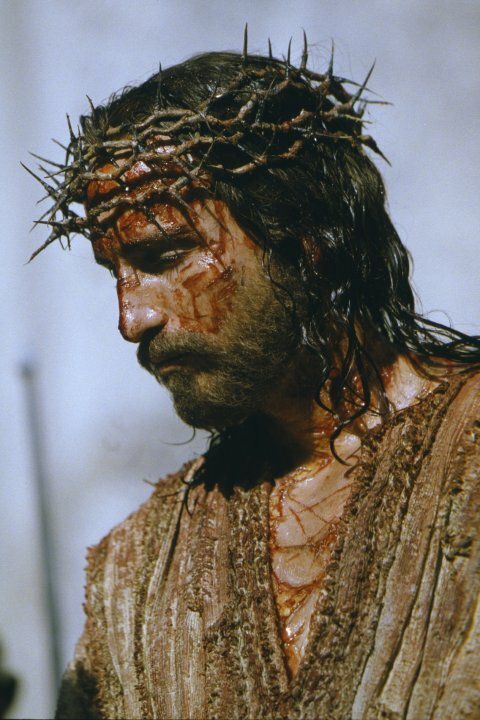 Jesus did NOT give up His deity when He came to the earth; but rather, He humbled Himself as a suffering and obedient servant (Hebrews 5:8; Philippians 2:8). Only Jesus forgave sin in the Bible (Matthew 9:2). Only God Almighty can forgive sin. As you just read, Jesus directly claimed to be the I AM... God almighty!!! Amen and amen!!! If you get a King James Bible and study its truths as a born-again believer, then you will see the truth as John 16:13 promises. You will see the divine truth that Jesus is almighty God, and not just “a god” as JW's falsely claim. Only the Lord Jesus Christ has the power to forgive men's sins. Only Jesus is worthy of worship and never tried to stop anyone from worshipping Him in the Bible. Amen! WORSHIP JESUS, for He is worthy! Wise men still seek Him today and WORSHIP Him!!! Matthew 2:2, “Saying, Where is he that is born King of the Jews? for we have seen his star in the east, and are come to worship him.” Notice also that the wise men followed the holy Scriptures and not the star. The Bible, Daniel's prophecy, told the Chaldean scholars in Babylon about the star, and then they followed it because they were wise, wanting to bless and worship the prophesied Saviour, Christ the Lord! Here's a wonderful poem authored by Pastor Danny Castle about the three stages of life; It's called “NO ROOM FOR JESUS” . . . I'm busy making a living, doing the best I can. What a fool I've been, they'll be no room for me. SOURCE: Pastor Danny Castle; from the awesome sermon titled, Do You Have Room For Jesus?